Being a parent is an unequaled experience in our lives, and while this time is filled with joy and amazement, it can also be exceptionally challenging. How many times have you wished for a "manual" that would help you better understand your child? Good news! There is a handbook unique for each child, and it starts with a map created by the astrological natal chart. The natal horoscope signifies a child's needs on many levels — spiritual, emotional, intellectual and physical. When we study the astrological chart for a child, we look at these ancient symbols with a focus on personal childhood development, realizing that a child is still in the process of "becoming". 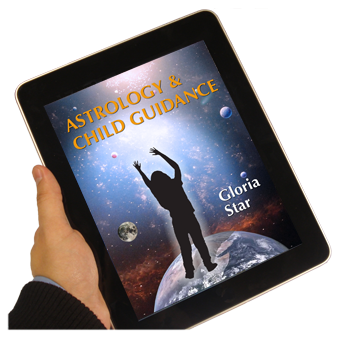 In this book, we explore astrology within the framework of the developmental process. This differs from the way we apply astrology to the life of an adult. 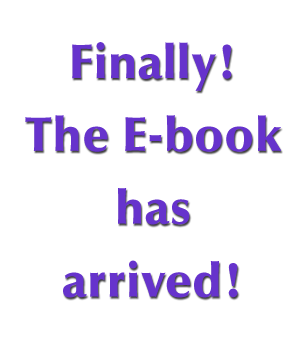 NOTE: This book is in PDF format only. In addition to computers of all sizes, it will work nicely on 10" tablets or iPad type 10″ tablets. Since there are many astrological graphics like charts and tables, 7-inch e-readers and tablets, including Kindle, may not work as well. When a PDF file opens into your browser, it might look like it’s larger than 100%. When you save it to your hard drive and open it, it should automatically convert to normal size. If not, look on the tool bar for your e-reader (Adobe) and set the size to 100%. If you're using a smaller tablet, you should still be able to use the Zoom function on the page or the graphic to enlarge the illustration, should you so desire.